Once you decide which airgun you plan to purchase, you’ll want to work out which scope is best suited to your needs. That process may be even more important than the selection of your gun. 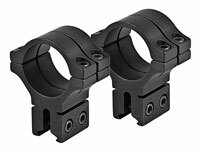 I have some recommendations for scopes, scope mounts and accessories related to your optics on this page. This is a scope that I have extensive experience with. It works great for Field Target on either a PCP or Spring Piston rifle. This scope has a 1″ tube, so be sure you choose a 1″ scope mount if you buy this scope. For the price, this is one of the best field target scopes out there. I understand that it has been discontinued by Bushnell, so supplies are limited on these and they may become hard to find before long. Another great scope for your field target rifle is the Bushnell Elite 6-24. I found this to be a great scope for field target. I owned one of these for many years and found it to have great optics, repeatability and it was tough enough to hold up on a spring piston airgun. This scope has a 1″ tube, so be sure you choose a 1″ scope mount if you buy this scope. 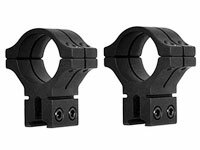 Once you buy a quality scope for your rifle, you’ll need a good scope mount. BKL makes some of the best out there. I have used these on my airguns will great success over the years. They are built like a tank, are well designed and will last a lifetime. This mount is designed for a 1″ scope tube such as the Bushnell Elite above. This one also is designed for a 14mm dovetail. So, check your rifle before buying to make sure this is the right scope mount for your rig. This is also a BLK 1″ scope mount. 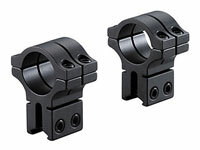 However, it is designed for an 11mm or 3/8″ dovetail. This BKL scope mount is for a 30mm scope tube. Check your scope design to determine how large the tube on your scope is. I use a Leupold Competition 35 scope with a 30mm tube and these work well for scopes such as mine. 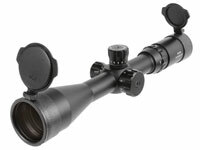 Aeon 8-32×50 Scope – This Aeon scope has an etched-glass reticle, which is very precise. This scope has a “trajectory” reticle. It is also offered with a “Field Target” reticle. Crystal clear glass is probably one of the top things you want in your optics, and the Aeon brand delivers! Add the 30mm tube to the clear glass, and you get a lot of light delivered through the tube! This Aeon scope has an etched-glass reticle. I will try to review this item in the near future. It may not focus all the way down to 10 yards, so we will look into this and get for information at that time. This scope has a 30mm tube. 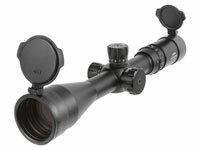 Aeon 6-24×50 rifle scope – This one is very similar to the 8-32 above. Crystal clear glass is probably one of the top things you want in your optics, and the Aeon brand delivers! Add the 30mm tube to the clear glass, and you get a lot of light delivered through the tube!